For the coming season, the fashion world seems to be trading in the two-piece suit that reigned supreme in fall and winter for a newer, and arguably more convenient, trend. 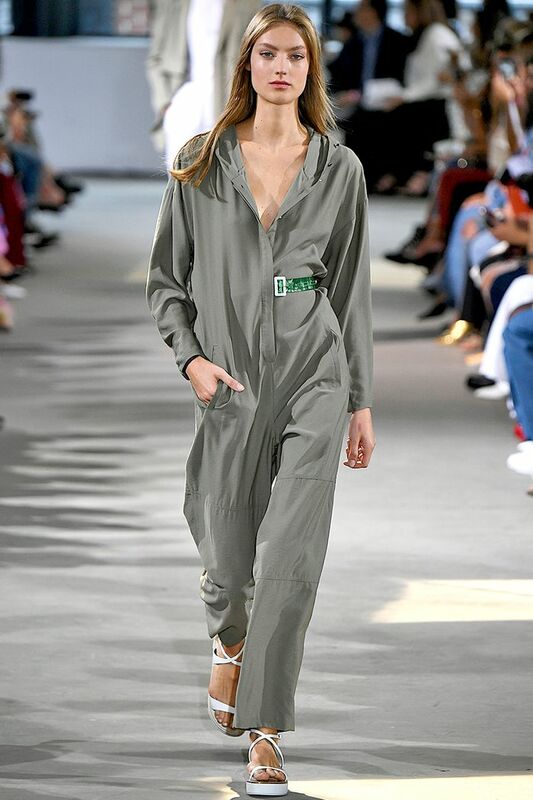 As you may remember from back in September, the utility jumpsuit, also described as a boxier, sometimes belted, and a little ’70s-inspired take on the one-piece wonder, was seen on countless spring runways, including, Valentino, Ralph Lauren, and Stella McCartney. Now, however, the trend has evolved from just a runway favorite to a staple on the street style scene, having been worn by everyone from Lisa Aiken to Gala Gonzalez, and it's now finally available to purchase via all the brands and retailers we love at every price point. From silky styles to denim versions to light linen takes in a range of colors, with so many options, we’re banking this will be the trend you can’t ignore—and won’t want to.